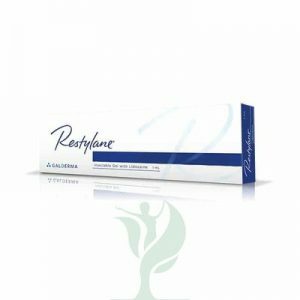 Restylane Defyne is an injectable, viscoelastic gel containing non-animal, cross-linked hyaluronic acid and Lidocaine, for pain relief. 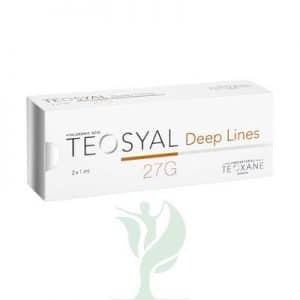 Restylane Defyne is suitable for use as a dermal filler to correct deep wrinkles, folds, or other skin defects when injected into the deep dermis or upper subcutaneous layer. Results of a Restylane Defyne treatment usually last about 6 to 9 months, and sometimes as long as 12 months. Only authorized personnel, in accordance with local legislation, should administer Restylane Defyne. Restylane Defyne is also known as Emervel Deep Lidocaine and it is one of the products within the popular Emervel Collection. Many dermal fillers use non-crosslinked hyaluronic acid to adjust the thickness of their product, but it can degrade quickly without providing a filling effect. However, Restylane Defyne adjusts its formula without using free hyaluronic acid. The makers of Emervel use Optimal Balance Technology™ to adjust the level of cross-linking in their products, creating a softer or firmer gel for different applications. They also pass the Emervel gel through different sizes of mesh to sort out particle sizes, using the larger particles and firmer gel for deeper dermal fillers like Restylane Defyne. Restylane Defyne is made of hyaluronic acid derived from non-animal origin that has been stabilized by a proprietary process called Optimal Balance Technology (known as XpresHAn Technology™ in the U.S.). The resultant product is an injectable dermal implant that adds volume and definition to treated facial areas, lifting the skin to correct skin depressions and volume loss.